Unidentified Flying Objects (UFOs) are grabbing the attention of more people everyday, and for good reason. 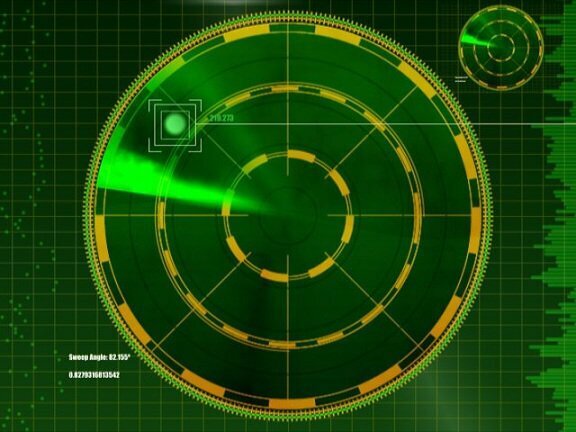 Obviously, if there are unknown objects in the sky, military/defence organizations will see them on radar, along with other organizations that monitor air traffic, like the Federal Aviation Administration (FAA). This happens on a regular basis, objects of unknown origin are constantly tracked on radar, along with visual confirmation by pilots, performing maneuvers that defy our understanding of physics as well as traveling at unattainable speeds. When the FAA tracks them on radar, a protocol is followed. When a UFO is sighted and tracked on radar, they report it to data collection centers, one of them being the Bigelow Aerospace Advanced Space Studies. (1) But evidence suggests that it’s not so simple as just following protocol. Retired FAA Senior Division Chief, John Callahan, shared his experience with regards to a specific UFO incident, you can read more about that here. Representatives from the FBI and CIA showed up to find out more about the incident, and to obtain all documentation and video footage. Bigelow Aerospace Director, Mike Gold, recently expressed that he is glad somebody is taking the reports, because it is a “serious issue,” but he also said that he could not comment on what they do with them. The report also described how a smaller object detached from the bigger object, turned inside the arc of the F-4 itself, and then regained the original object. This incident lasted for several hours. I decided to use this example because it has a number of declassified supporting national security documents, which goes to show how serious this event was taken. The list goes on and on, UFOs tracked on radar and military jets scrambled to check them out is nothing new. I hope I’ve given you a good amount of info to further your research if interested. Dozens and dozens of governments have recently released their UFO files, admitting to the phenomenon being real. You can access the United Kingdom’s latest batch that was released in June 2013 here. Commercial airline pilots also constantly report UFOs. There have been many cases, the most recent I am aware of was an A320 Airbus Captain who reported a near miss with a UFO over Heathrow Airport. It’s hard to do justice to the topic of UFOs tracked on radar, and military jets scrambled to intercept them when there are what seems to be hundreds upon hundreds of documented cases. What is very intriguing is the level of interest these events garnish by military and intelligence agencies worldwide. There are thousands upon thousands of documents that prove this, some of which I have put links to in the article. Since there are so many, this is a great little video to demonstrate a tidbit of documentation that’s been released into the public domain. The UFO phenomenon is a serious one, and raises many other questions. What are they? Where are they coming from? What type of propulsion systems are they using (clearly not the known propulsion systems we use today). Are they secret military aircraft? Are they extraterrestrial aircraft? The list of questions goes on and on, one thing for certain is that the UFO phenomenon is real, and continues to increase as we move through 2014 and beyond. More and more people are becoming aware of this phenomenon, and maybe one day soon we will know what exactly is going on in our skies. Along with these statements we have the documentation, which makes it clear that something is definitely going on here. Personally, I believe many of these objects are classified military projects, that come from the Black Budget world. I also believe that many of them are indeed extraterrestrial and that there is a lot of evidence to point to that. (8) Department of Defense JCS Message Center, Subject: B6/BAF Has a Close Encounter of the First Kind. Date: 20 May 86. Subject: Numerous Unidentified Objects Were Cited in the Skies over Brazil. But BAF Fighters Were Unable to Intercept Them. Berliner, Don, The UFO Briefing Document,p. 121-127. Huneeus, J. Antonio, “UFO Alert in Brazil,” MUFON UFO Journal, 11/86. Andrus, Walt, “UFOs Over Brazil,” MUFON UFO Journal, 9/86. Smith, Dr Willy, “The Brazillian Incident,” International UFO Reporter, 7-8/86. Smith, Dr. Willy, “More on Brazilian OVNIs,” MUFON UFO Journal, 9/86.